The Companion Animal Action Team is a non-profit group of like minded citizens living in Sierra County, New Mexico. 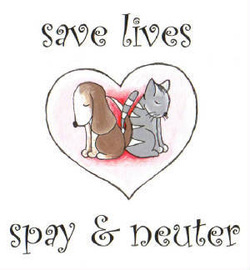 Our primary goal is to promote low cost spay and neuter services to low-income pet owners and to provide humane education regarding companion animals. ​Our Board meets monthly at the Fellowship Hall at St. Paul's Church at 407 Cedar St on the third Saturday of the month at 11:30 A.M. Visitors are welcome. Dates, times and locations are subject to change. If interested in attending a Board meeting, please email us and we can verify the meeting with you. Don't forget the monthly Pet Care Express vaccination clinics at Tractor Supply Company! They offer most vaccinations at a greatly reduced price. Look for their sign in front of the store. ​Next clinic on Saturday, May 4 from 1200 to 1400 at 499 S Broadway, Truth or Consequences. Sorry. 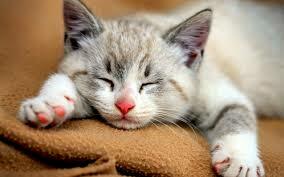 We are unable to accept any feral cats in this next clinic on 4/26. The April 26 clinic is full. For all income levels, we have a spay/neuter clinic sign-up scheduled for Saturday, 4 May, 2019 from 0900 to 1100. This is for a spay/neuter mobile clinic on Friday, 24 May. Both sign-up and clinic will be located at 700 S Broadway in Williamsburg. If you believe you qualify for low-income pricing, bring your income verification to the sign-up. Immunizations are available for Rabies: $15 and DHPP/FVRCP for $10 if your pet is having surgery. ​The Spay and Neuter program is being revamped as per our funding and available resources. We are required to focus on providing more services to low income households, and details are posted on our website and Facebook. Previously we charged everyone the same fee, thereby subsidizing anyone and EVERYONE. We must pay our veterinarians from $15.00 to $40.00 more for each animal than we used to charge our clients. We were able to do that due to our fundraising efforts and the generosity of our fantastic donors and volunteers. We can no longer do this for people who do not qualify for low-income assistance as required by our current funding. We want to serve as many as people as possible but must prioritize low income households first. To qualify for our reduced (subsidized) price, please provide the proper ID and documentation, such as: Tax Return (current, preferred proof of income) OR paystubs OR W-2’s OR your assistance award letters (social security, SSI, SSD, Disability), food stamps, etc. If you qualify for HUD housing, SSI, SSD or SNAP please bring documentation. Sorry, we cannot accept EBT cards. Please note that even our non-subsidized prices are considerably lower that what is available at most brick-and-mortar veterinary facilities. That is the nature of our mobile clinics. Be aware, however, that we must fill available slots first with low-income households, and if openings remain, then we can admit people at full price. ​subject to change at any time. The first step to decrease the euthanasia of healthy adoptable animals is to insure that companion animals are spayed and neutered. . One female cat and her offspring can produce 420,000 cats in 7 years, One female dog can produce 67,000 dogs in 6 years. 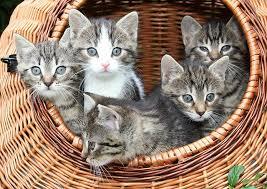 It costs less to spay and neuter than to raise a litter.